genuine austrian blade makes this hand scythe-sickle a pleasure to use. it is made from the same steel as our famous marugg scythe blades. this is a right handed tool. 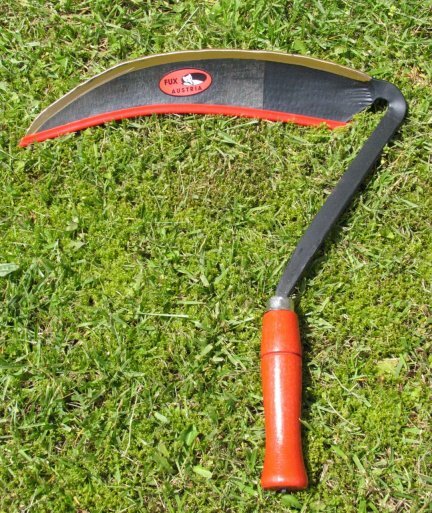 used for clearing around tight areas after scything, and requires somewhat less bending than our hand sickle.